Lynn St. Amour, Internet Society President and Chief Executive Officer to step down February 2014Internet Society President and Chief Executive Officer Lynn St. Amour today announced that she will leave the Internet Society in February 2014 at the conclusion of her contract. St. Amour joined the Internet Society in 1998 as Executive Director of its Europe, Middle East, and Africa division. 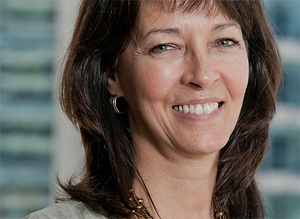 She became Executive Director and Chief Operating Officer in 1999 and was appointed President and CEO in March of 2001. St. Amour will leave a long legacy of accomplishments at the Internet Society, a cause-driven organization dedicated to ensuring the open development, evolution, and use of the Internet for the benefit of all people. During her tenure, the relationship between the Internet Society and the Internet Engineering Task Force (IETF), the primary body responsible for the Internet's core standards and protocols, was significantly strengthened and expanded. This increased collaboration and other similar efforts in the international policy and development realms established the Internet Society as an internationally respected expert on Internet governance, technical, development, and policy issues. These accomplishments were supported by the growth of the Internet Society's annual revenues during this period from just over USD $1M to $35M. Over the years, the Internet Society has significantly expanded its global impact and today is engaged with a growing, multi-stakeholder community through its Regional Bureaus, 91 Chapters, more than 65,000 Members, and 146 Organization Members. In 2003, St. Amour led a successful bid to operate the .ORG registry and subsequently established a supporting entity, Public Interest Registry, to carry out that responsibility in line with the Internet Society's principles and values. In conjunction with the Internet Society's 20th anniversary in 2012, she developed the Internet Hall of Fame, which annually recognizes Internet visionaries, innovators, and leaders from around the world. "The Board deeply appreciates Lynn for her exceptional work, passion, and tireless dedication to the organization's mission of preserving the open, global Internet," said Eva Frölich, Chair of the Internet Society Board of Trustees. "She is a remarkable leader and has been instrumental to building the Internet Society into a global leader on Internet policy, technical, economic, and social matters. The Board will work closely with Lynn over the next 12 months to implement a succession plan and ensure a smooth transition." "The Internet Society is a global organization with a world-class staff, extremely knowledgeable Members and Chapters, and a skilled Board, and we are well positioned with a valuable and unique role at the heart of the Internet's development. Our future is only limited by our vision," stated Ms. St. Amour. "The Internet is at a very important inflection point today. With the Internet Society's well-respected and global presence, I am confident that the Society will make an even greater impact in the years ahead." Local Time: Thursday, April 18, 2019 01:48 PM PDT – Page Load: 0.2545 Sec.